Music Together® directors and Music Together families from acrosss San Diego County were invited by KUSI to talk about the importance of early music education and the benefits of Music Together Worldwide. View our interview here. 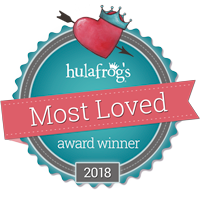 Awarded parent's pick for 'Most Loved Music Classes' by Hulafrog for 2018. We were recently guests on Fox5 San Diego to discuss Music Together and the benefits of early childhood music education. Please visit our YouTube Channel to see the video! In early January 2016, we were featured on CW6 to talk about our Winter Session and upcoming classes in 4S Ranch & Encinitas. We had so much fun bringing our families to the studio! You can visit our YouTube Channel to view the video. Times of San Diego did a nice little article on our music center. View the article here. Red Tricycle: "Best Baby Classes in the Country"
Red Tricycle named Music Together one of the best baby classes in the country. View the article here! Kristen Helms from the Mommy Project-SD organized a 'Baby Outing' to our Music Together class for her mama's group. She wrote about her experience here. Make sure and check out her other articles & recommendations as well. It's a wonderful blog for parents in the San Diego area!  Copyright © 2019 Blossom Music Tree All rights reserved.